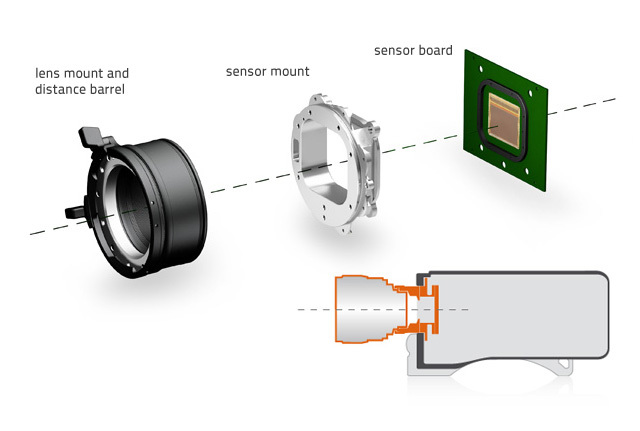 electronics hardware imaging engine and the image processing software. the camera splash and dust proof. or contraction during temperature changes. with many industry-standard interfaces and compatibility with third party products. upgrade and to add new features in order to extend its useful life. or an XR Module for ALEXA XT cameras. upgrade such as the Plus panel, for wireless camera and lens remote control. lenses, further extending creative options. a technology that permits the camera’s feature set to be completely re-programmed. SxS PRO+ cards) and advances in image quality like greatly improved debayering algorithms. or the Avid DNxHD codecs. 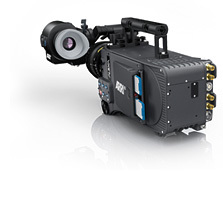 of both the F-LCOS display and the ARRI custom LED light engine. that the eyepiece can be adjusted to a comfortable position for shoulder operation. 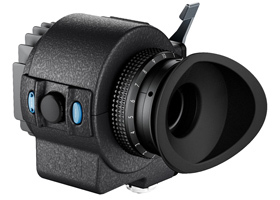 viewfinders of ARRI’s film cameras. ALEXA represents the most efficient and versatile method to capture and then transport images, audio and metadata through the production process. This is achieved with a multitude of output options, support for the native codecs of the most popular non-linear editors, complete metadata and integrated color management. 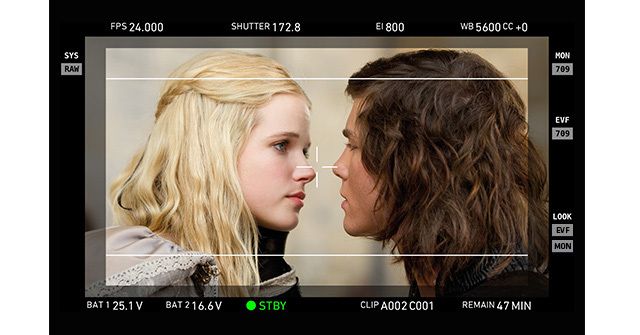 ALEXAs can easily integrate into any digital workflow, be that a high-end Hollywood feature film that shoots ARRIRAW, a TV series that shoots ProRes 4444 Log C or a Telenovella that needs to optimize throughput by shooting ProRes 422 Rec 709. Below is a overview of the ALEXA outputs. ARRI ALEXA – the most complete multi-purpose camera system: ALEXA’s superior image and product quality, transformed to the needs of broadcast style multi-camera productions with live editing and live painting. The ALEXA Fiber Remote Option is bringing the pristine and unrivaled image quality of the ALEXA camera into a multi-camera environment typical of broadcast studio or OB van productions. 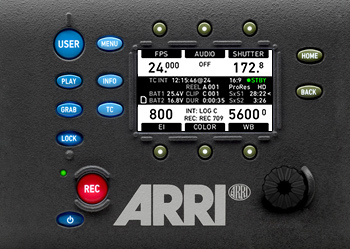 With the Fiber Remote Option attached, the ALEXA is connected through a SMPTE 311M fiber connection and can be remote controlled for live painting operation. 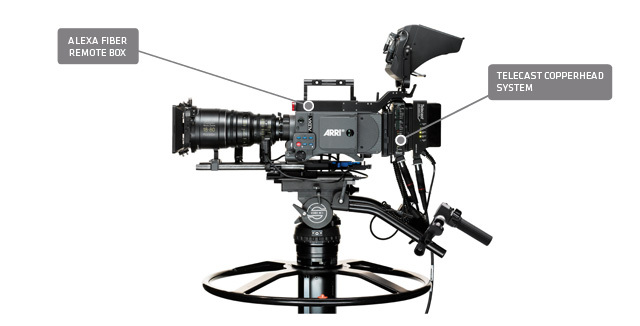 Besides the Fiber Remote Box mounted on top of the ALEXA body, a CopperHead system* from Telecast Fiber Systems is required, together with a viewfinder monitor*, for typical pedestal use. 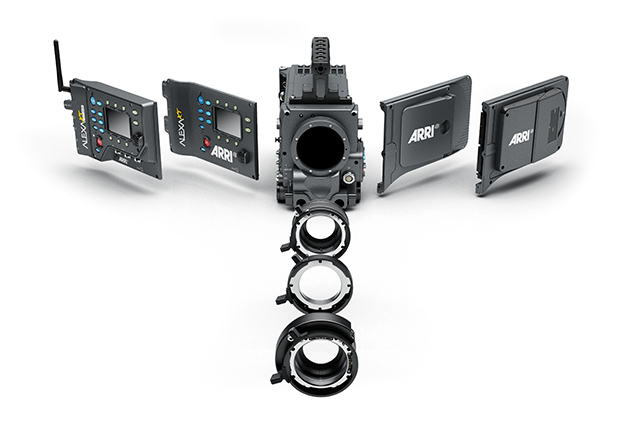 **ARRI certified components for Telecast system and monitor are required. Weight ALEXA body with SxS Module: 6.3 Kg/13.8 lbs. Dimensions Length: 332 mm/12.95”, width: 153 mm/6.02”, height: 158 mm/6.22”. SD Card For importing and storing ARRI Look Files, camera set up files, frame line files, feature license keys and user pixel masks. Stores captured stills from the REC OUT image path in ARRIRAW (.ari, 12 bit), TIFF (.tif, 16 bit), DPX (.dpx, 10 bit) or JPEG (.jpg, 8 bit) format (1). Stores log files. Also used for installing Software Update Packets (SUPs).